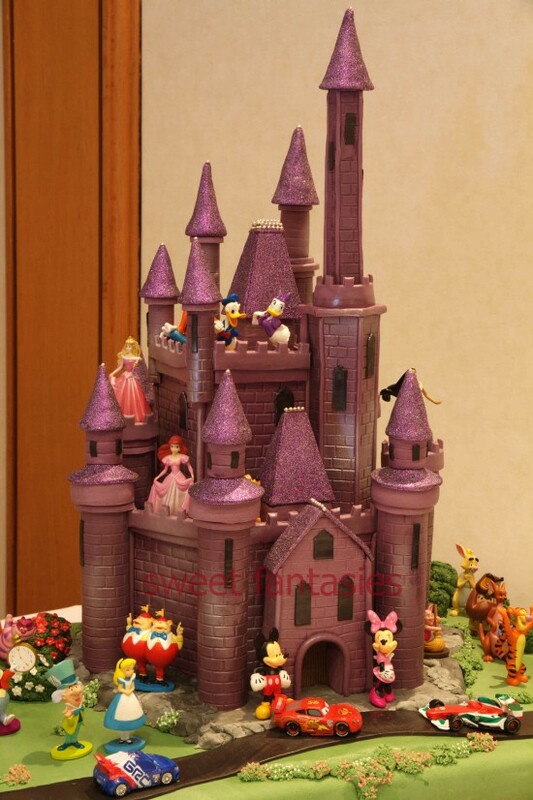 Disney Princess castles and other castle themed cakes have always been popular. So I thought I would show you just a few of the different cakes we have made over the last 10 years. We have made castle cakes for all occasions, Birthdays (from 1 to 30+), Christenings, Weddings and Corporate events. We usually use the Disney Princesses set when decorating these. The Princesses in these sets do vary from time to time, depending on the new film releases. The most popular as always been the assorted princess set, We can get these or you can provide them yourself. Frozen Castles have been popular over the last couple of years. Tinkerbell and her friends. The castle on this cake is a painted polystyrene cake topper. On this cake, we use the Mickey Mouse & Toy Story Figures. Thes castle-themed cakes have hand made Sugar Paste Models. Both Wedding Cakes have hand made sugar paste castles as toppers. We are happy to look at any design ideas you may. 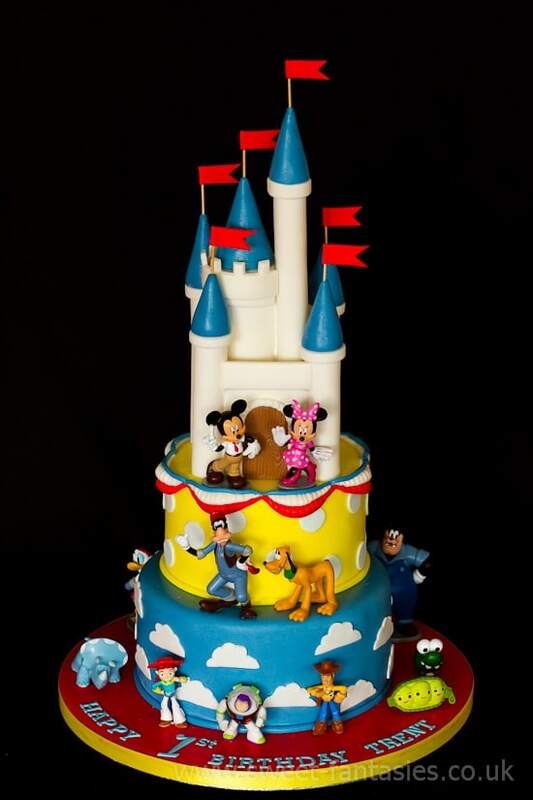 A few years ago we made this Disney themed cake for Caudwell Children’s Charity. The castle part is 2 polystyrene cake dummies with sugar paste towers attached. The Castle was then placed on a cake measuring 3′ x 2′, the total height of the cake and Castle was over 3 ½’ tall. If you have any suggestions for future Blog Post, please leave your ideas in the comments box at the very bottom of this page. Thank you.